Energy security through new fossil fuel supplies and transport infrastructure, not energy efficiency and renewables, dominates the conclusions issued by EU heads of state and government after their first debate on an Energy Union for Europe in Brussels on Thursday. Former Polish Prime Minister Donald Tusk – now President of the European Council of Ministers – appears to have reclaimed in large part the Energy Union he helped set in motion, although the most controversial topic – transparency of gas contracts – was a loss both for him and the European Commission. It was clear from the start where former Polish Prime Minister Donald Tusk – today in charge of the European Council of Ministers and therefore in the driving seat at EU summits – wanted the EU’s traditional spring gathering of heads of state and government to go. The Energy Union for Europe package, unveiled by the European Commission on 25 February, “cannot be done all at once”, Tusk said on Thursday morning. “So this afternoon I would first like to focus on security of supply as a first step.” This was in theory compatible with the Commission’s much vaunted “energy efficiency first” slogan – using less energy is clearly a way to enhance energy security – but this was not what Tusk had in mind. In draft conclusions for the summit prepared by the ex-Polish PM in early March, there was not a single mention of the words “energy efficiency”. Energy efficiency is mentioned in the final conclusions of the European Council, but only as a way of “also” strengthening security of supply (note “supply”, not even simply “security”). And they appear alongside the option of “recourse to indigenous resources as well as safe and sustainable low carbon technologies”. Green groups read shale gas, coal and nuclear in these words. The European Council calls for the acceleration of gas and electricity infrastructure projects “including interconnections” (i.e. not only interconnections) and issues a call to use “all external policy instruments to establish strategic energy partnerships with increasingly important producing and transit countries”. This is a push for new supply as well as transport infrastructure for gas and electricity. The carbon capture and storage (CCS) lobby succeeded in getting a mention as one target of a proposed “energy and climate-related technology and innovation strategy”. Of course Donald Tusk does not decide these council conclusions alone. 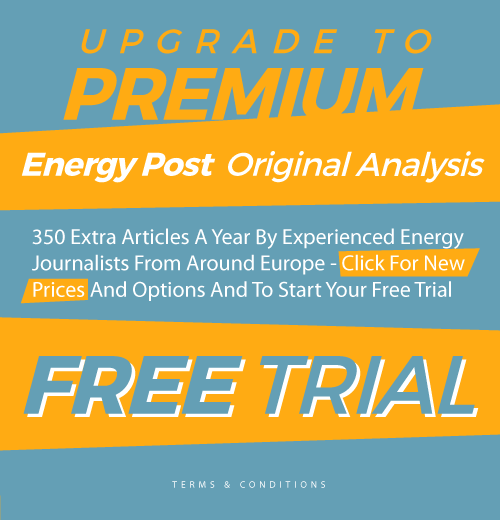 The points above will have pleased many other member states, notably the UK (indigenous resources, nuclear and CCS), France (nuclear), and other eastern European states such as Hungary (gas supply diversification new interconnections and nuclear). 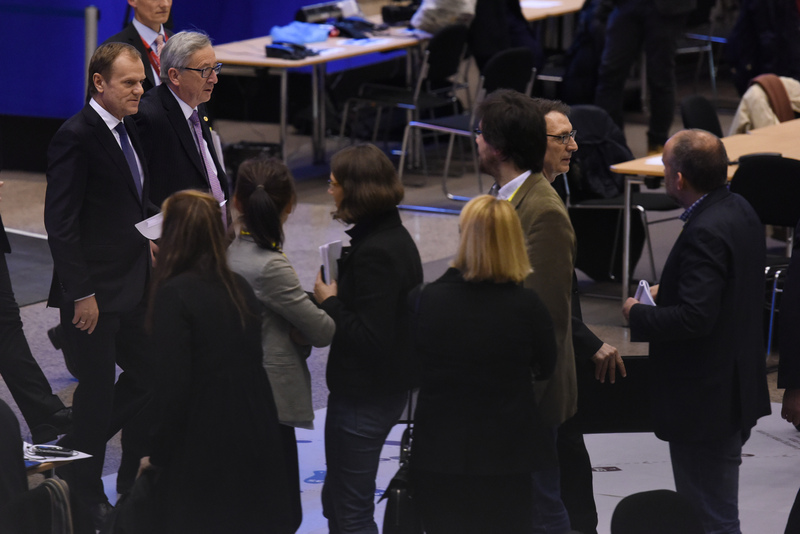 But the most controversial subject of the evening was one where Tusk did not prevail – nor did the Commission. This is on the transparency of gas contracts. The ex-Polish PM succeeded in getting his flagship idea of joint gas buying recognised – the conclusions call for “assessing options for voluntary demand aggregation mechanisms in full compliance with WTO and EU competition rules” – without the Commission’s proposed caveats that it should only be possible during a crisis and when member states are dependent on a single supplier. But the Commission also wants to get involved in countries’ negotiations of intergovernmental energy agreements (IGAs) with third parties such as Russia, to check that they really do comply with EU law (South Stream didn’t) and improve EU energy security (South Stream would have meant more Gazprom). “We are going to make the proposal that the European Commission should be part of the negotiating team,” said Vice President for the Energy Union Maroš Šefčovič on 25 February. Three years ago a very similar plan was dismissed by member states however, and despite the brave faces put on Thursday night, this idea may go down the same drain. “All leaders agreed to reinforce transparency in the gas market so suppliers (read: Gazprom) cannot abuse their position to break EU law and reduce our energy security,” said Tusk triumphantly after the Energy Union debate. But the final conclusions are far from explicit. They call for “full compliance with EU law of all agreements related to the buying of gas from external suppliers” (since when was this not a requirement?) “notably by reinforcing transparency of such agreements and compatibility with EU energy security provisions”. There is no mention of a stronger role for the Commission here. And the reference to gas contracts is much more specific than the Commission’s proposal for energy IGAs more generally (this is potent in light of the Commission’s reported blocking of a nuclear fuel supply deal between Russia and Hungary). The problem is that while some countries like Poland, may feel they pay Gazprom too much and would appreciate more negotiating firepower, others like Germany, have better deals and are not unhappy with the status quo (see Reuters article on this). Note that all this is only about IGAs, not commercial contracts. The Commission also wants to improve the transparency of the latter, for example by collecting information on prices, volumes and delivery points, but this is even more sensitive. The conclusions only make one reference to commercial contracts – and that’s to call for the confidentiality of commercially sensitive information to be guaranteed. There are no less than two references to the sovereign rights of member states on energy in the summit’s conclusions: to decide their own energy mix and to explore and develop their own natural resources. This, already enshrined in the EU Treaty, only serves to illustrate how touchy a subject the Energy Union and its implication of more power to Brussels really is. This goes back to governance, the prickly issue at the core of the Commission’s plan. One could argue that the Commission’s call for involvement in IGAs is one of Sefcovic’s most ambitious proposals in this field – and member states have hardly embraced it. Yet there is positive language on governance in there, notably on energy and climate policy for 2030. EU leaders call for “a reliable and transparent governance system” in this context, which would serve to monitor progress toward EU-wide renewables and efficiency targets. This was welcomed as a victory by Green MEP Claude Turmes – “Strong and reliable governance 2030 secured in the Council conclusions! Work on Energy Union can start” he tweeted. Turmes has in the past criticised the desire of some member states such as the UK for a “light touch” approach from Brussels, versus the call of others, such as Germany, for a more robust approach that does not depend merely on “soft law”. There is positive language too on more regional cooperation and “a more effective, flexible market design” to help integrate renewables. No explicit mention of capacity markets. Legislation related to emission reductions, energy efficiency and renewables will need to be enacted to underpin the “agreed 2030 targets” – agreed to only by the Council, not European Parliament. A new “technology and innovation strategy” will focus on the next generation of renewables, electricity storage, sustainable transport and energy efficiency in housing as well as CCS. Finally, a note to support strong “climate diplomacy” ahead of the UN climate conference in Paris in December. But if the Energy Union was sold by Šefčovič as a tool to manage the transition to a low-carbon economy, the Energy Union endorsed by member states on Thursday was one aimed primarily at enhancing security of gas and electricity supply. If the former aims at more power to Brussels, the latter enshrines the rights of individual member states. Sefcovic called it a “historic day”, but the battle of Brussels for the Energy Union has only just begun.